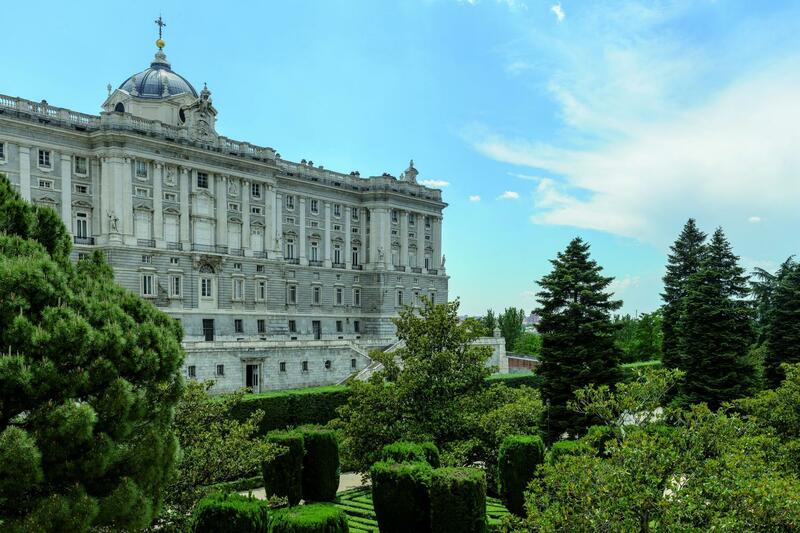 Madrid in all its splendour in a unique itinerary through its most relevant monuments. 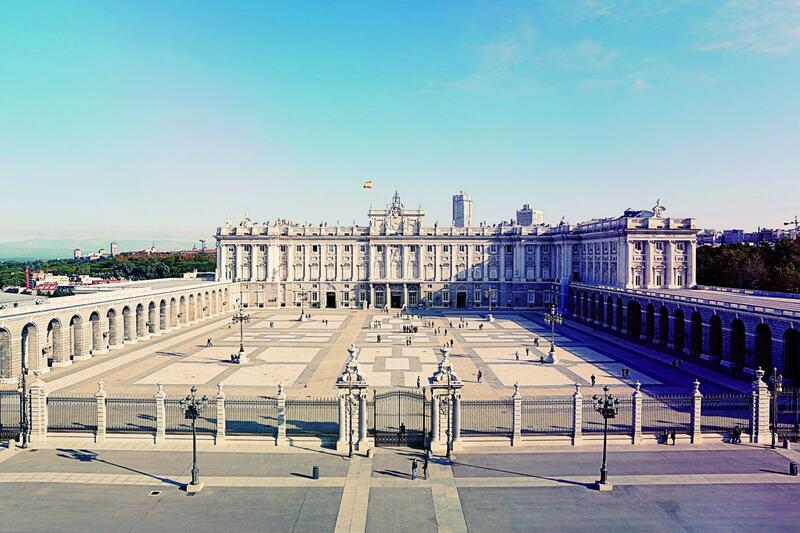 Look at the Royal Palace’s beauty and discover its wonders. 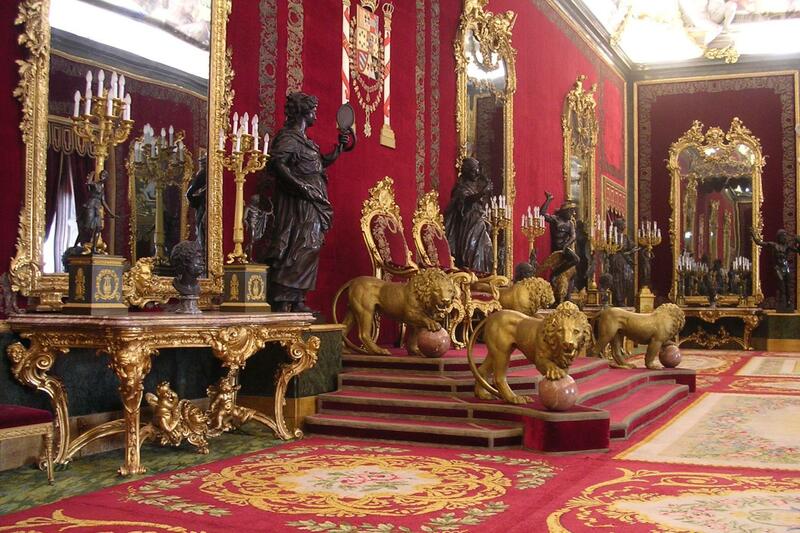 The Royal Palace majestically shows its history of monarchs. 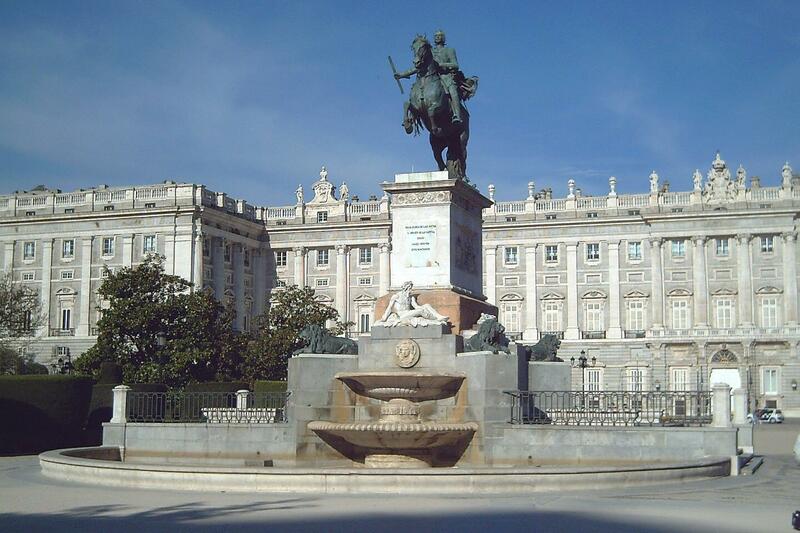 It reigns in Plaza de Oriente in front of Catedral de la Almudena. 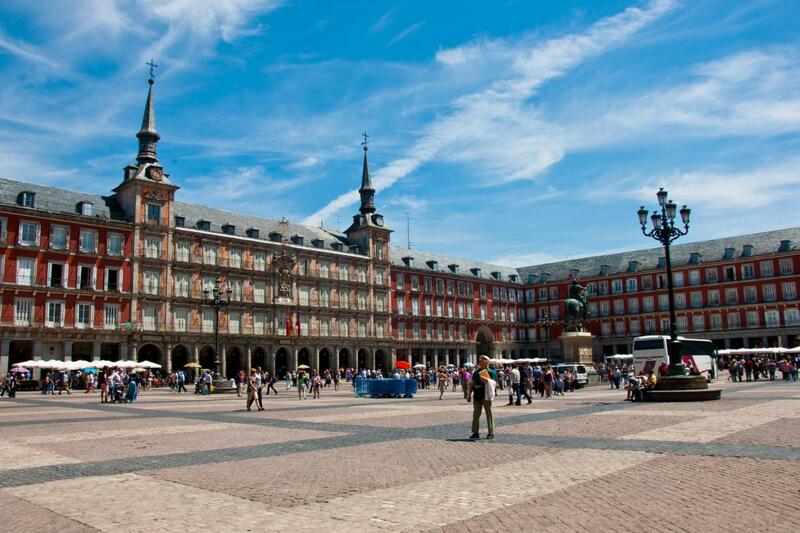 Plaza Mayor is the heart of Hapsburg Madrid. Arco de Cuchilleros, Casa de la Panadería and the Statue of Felipe III mark this square charm. 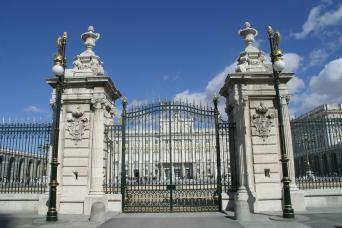 Puerta de Alcalá is one of the five ancient royal gates that gave access to Madrid. Its Neo-classical and three arches appearance remind of the Roman Triumphal Arch. Gran Vía is Madrid’s most known street. Is also known as the Madrid’s Broadway for being the theaters and musicals avenue of the city. 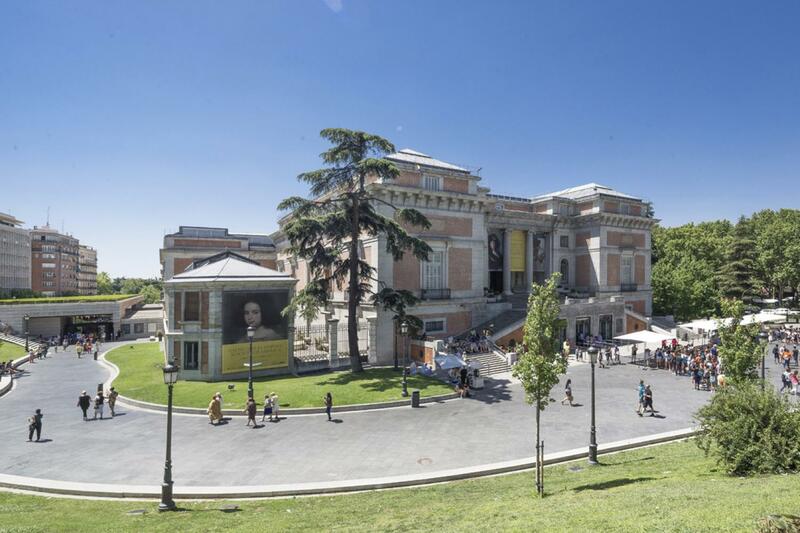 Skip the Line Entrance and guided tour to Royal Palace. Individual radioguided system for Royal Palace guided tour. This tour is bilingual and will be in English and Spanish. Please keep in mind that the excursion includes several visits on foot, we recommended comfortable shoes. Royal Palace visitors are kindly requested to respect the instructions of the Palace Security: Photography and filming are not permitted inside the exhibitions. 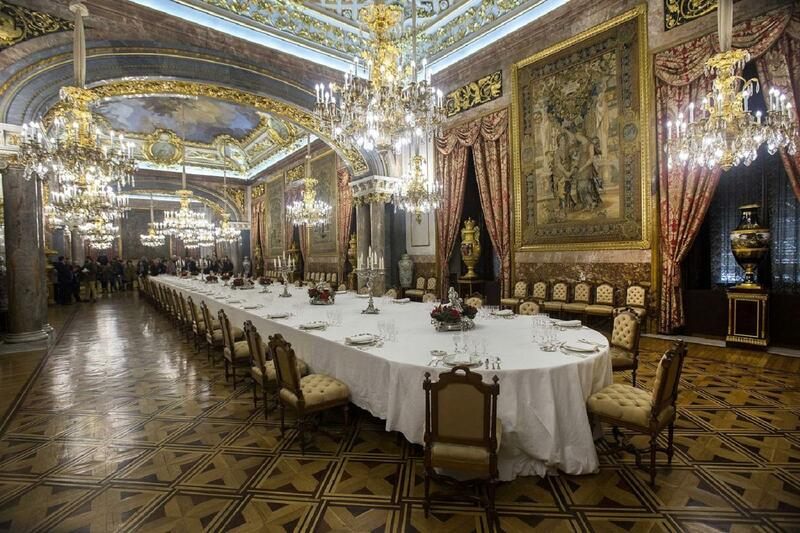 The Royal Palace was built in the XVIII century upon the ancient Baroque Italian style fortress of the Habsburg. 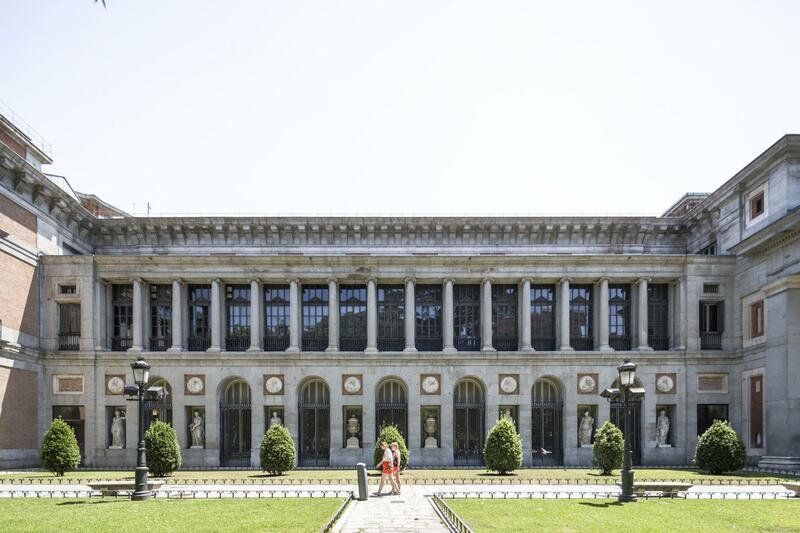 It is one of the most beautiful and best preserved palaces in Europe and a symbol of the permanence and consolidation of Madrid as the capital of the Kingdom. 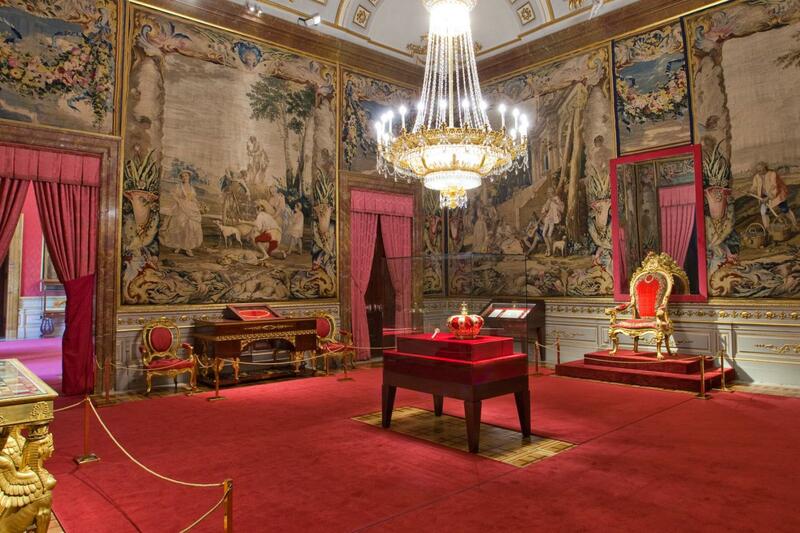 The Palace was the official residence of the Spanish Monarchy from 1765 to 1931. 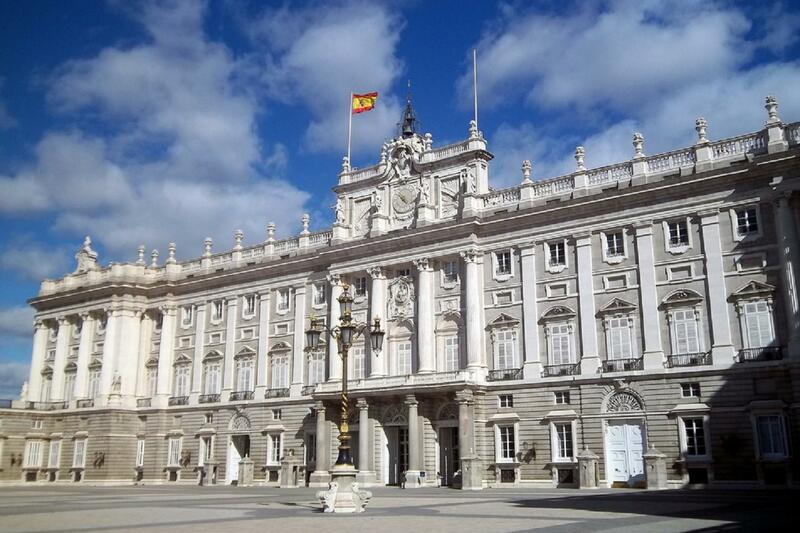 To date, the most stunning receptions of the Spanish Crown are celebrated there: audiences, dinner parties, signature of agreements and the traditional ceremony of presentation in which foreign ambassadors present Credential Letters to His Majesty the King. We will visit the Armory Square (exterior of the palace), the Grand Staircase, the King Charles III’s Apartments, the Queen’s Apartments, the Banqueting Hall, the Royal Chapel and the Throne Room and the Crown Room. After the guided tour, you may visit on your own the Royal Armory and enjoy the views from the viewpoint of the Armory Square. Please note that the itinerary is subject to change due to the oficial acts to be celebrated in the palace. * This tour starts from Julià Travel Gray Line Spain office at Calle San Nicolás, 15 (corner Plaza Ramales) and ends at the Royal Palace. * Print your voucher and give it to your guide when staring the tour. E-voucher accepted.